For the past few weeks I’ve been struggling. I’m addicted to all these location-based iPhone apps, but of the big ones, really only Loopt has had a native iPad app ready to go from the beginning. 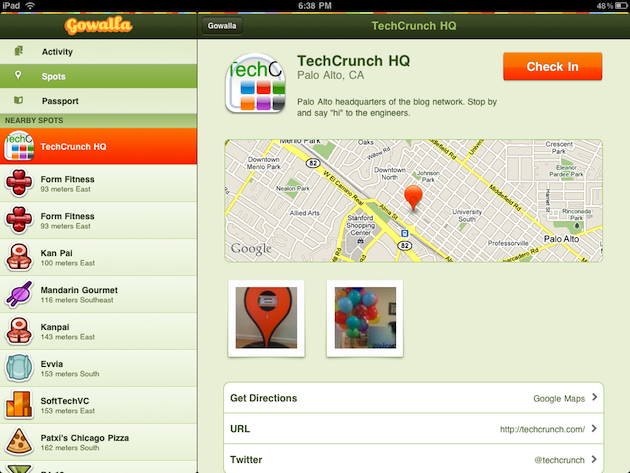 Today that changes with the launch of Gowalla’s iPad app. As we first previewed a month ago, the app looks amazing. 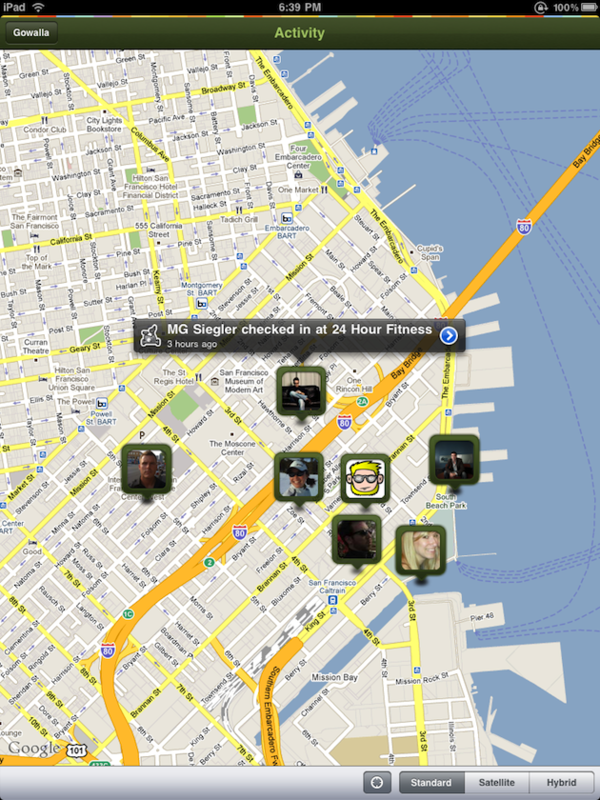 The main page is a giant Google Map, and on it you can see where your friends are nearby. Clicking on their faces reveals where they are — or where they were when they last checked in. And how long ago they checked-in at that location. There’s also a side menu (in landscape mode — or a pop-over menu in vertical) that shows the stream of all your friends’ check-ins. 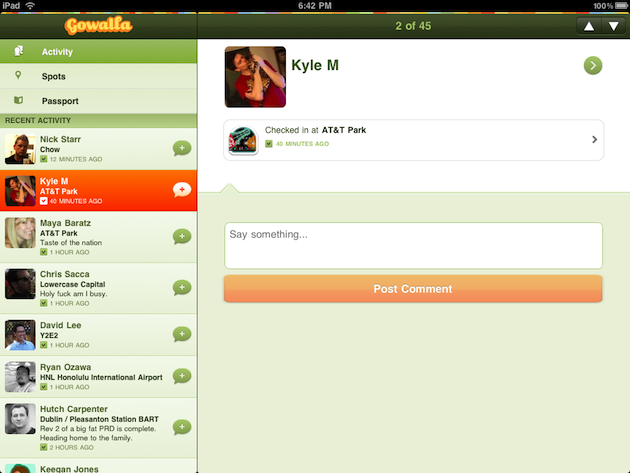 From here you can do some of the newer Gowalla functions such as comment on check-ins. And yes, of course, you can check-in yourself. And, of course, you can do all of your other Gowalla stuff, such as check your Passport (your profile) to see you Stamps, Pins, and Items. Naturally, on the iPad’s big screen, they look even better. 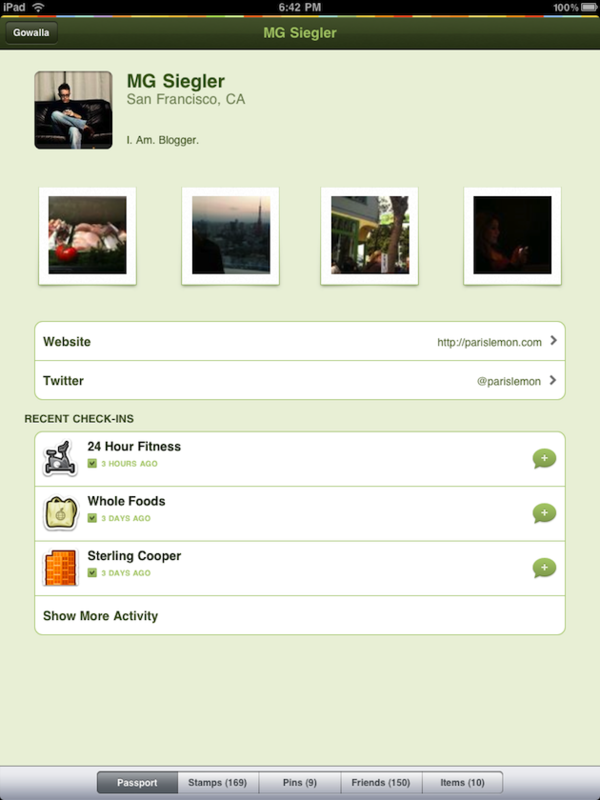 And that may be one big selling point of the app on the iPad over rival Foursquare, which isn’t quite as pretty. Speaking of Foursquare, while they may be in the midst of making a difficult decision (whether to sell or take more funding), Gowalla beat them to the iPad. Just how much anyone is going to use the iPad as a location-based device remains to be seen. Obviously, it’s much larger than the iPhone and as such, much less portable. But the 3G version should be in people’s hands tomorrow for the first time which will make taking it outside much more enticing. Find the new Gowalla app in the App Store here. It’s a free download.